Institute of Materials Structure Science (IMSS), KEK is a research organization that researchers from both inside and outside Japan study the structure and functionality of materials using synchrotron radiation at Photon Factory (PF), slow positron at Slow Positron Facility, neutron and muon beam at Materials and Life Science Experimental Facility (MLF) in Japan Proton Accelerator Research Complex(J-PARC). 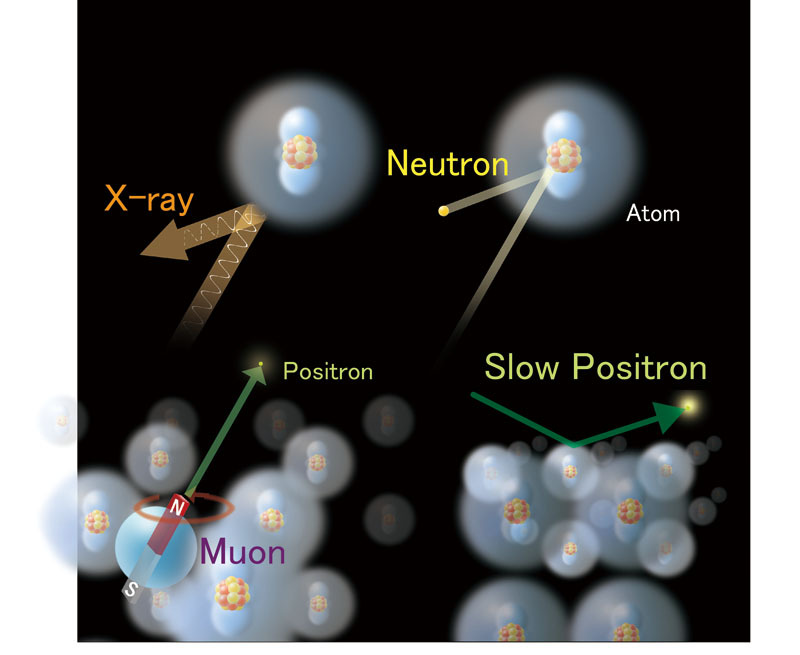 IMSS starts to call for the experiment proposal as Multiprobe Experiment that utilize two or more beams of IMSS's facilities; synchrotron radiation, slow positron, neutron and muon beam. This offers an great opportunity of advanced analysis of materials and surely helps cutting-edge research of users. We are accepting your experimental proposal from today. The deadline is 12 May (Thursday) 17:00 JST. For more details click below link.